Each of our products comes with a money-back guarantee of satisfaction. Select the products you wish to purchase below, fill in the quantity and click on the appropriate Add to Cart button. For large orders (over 10 of any one product) or to order by phone, please call us at (818) 209-2191. Click to view our Terms and Conditions page for information on privacy, shipping and returns. When you have finished shopping, click the View Cart button to check out. 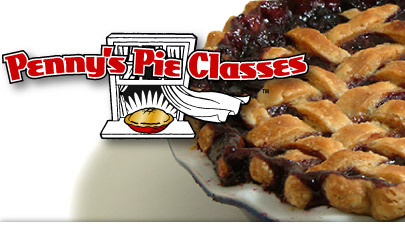 "Simple, Fun & Foolproof Pie-Making for Everyone"
This is my pie-making class on DVD, which includes a Resource and Utensil Guide, a full-color Glossary of Terms, and 12 Full color, moisture-resistant recipe cards of all my L.A. County Fair award winners, and several others that are sure to be winners in your house! The DVD is done with ‘chapters’ so you can easily go the the part you wish to view! 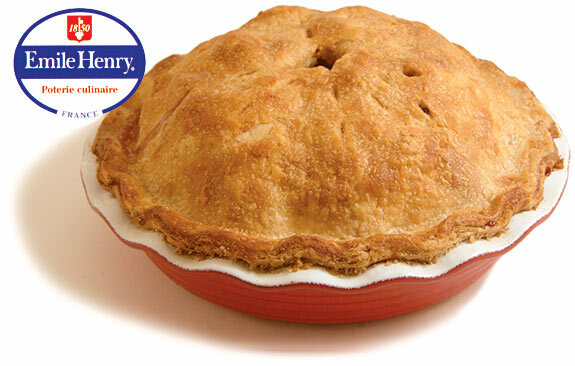 Most of the pie recipes are honey-sweetened and the pie dough is Trans-Fat Free! Finally a ‘Healthy Pie’ you don’t have to feel guilty about serving! Penny says: "The easy-to-learn information on this video can instantly turn you into the talk of your circle of friends. Where there's food there are people, and where there are people there is conversation and good fun. Don't be surprised if your home quickly becomes one of the most popular meeting places in the neighborhood." 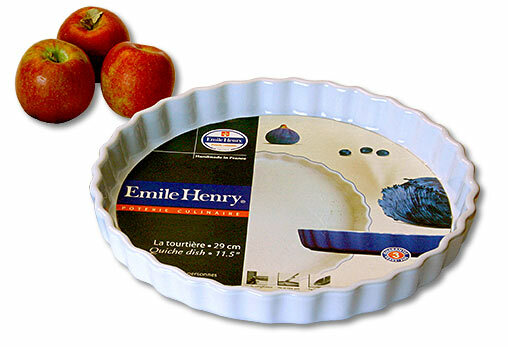 I have been using Emile Henry 9-inch deep-dish pie dishes for years and absolutely swear by them. 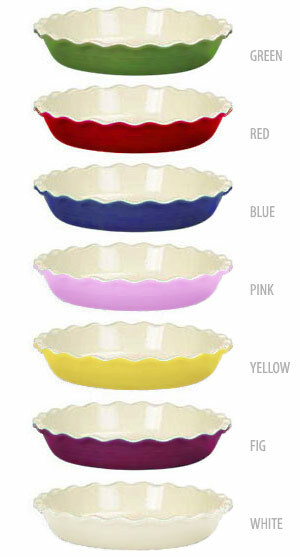 These are the best commercially-made ceramic pie dishes I've ever used, and I've tried them all! 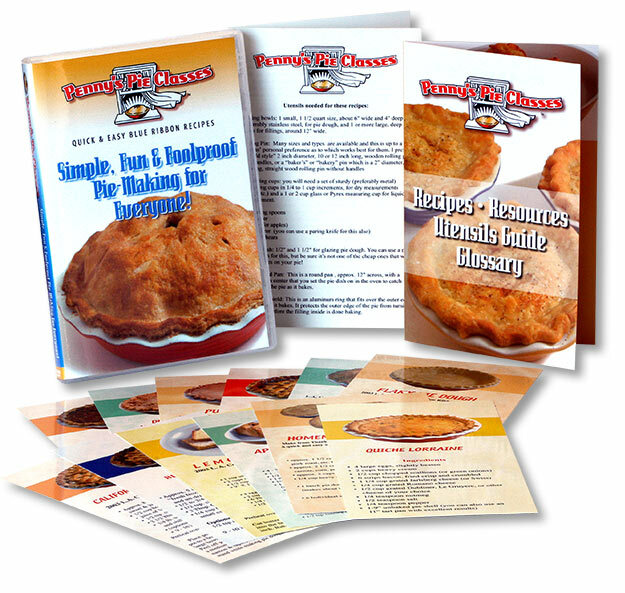 This package is for Penny's DVD "Simple, Fun and Foolproof Pie-Making for Everyone" and one 9-inch Emile Henry pie dish, in your choice of GREEN, RED, BLUE, PINK, YELLOW, FIG and WHITE. Save $5.00 over purchasing separately. 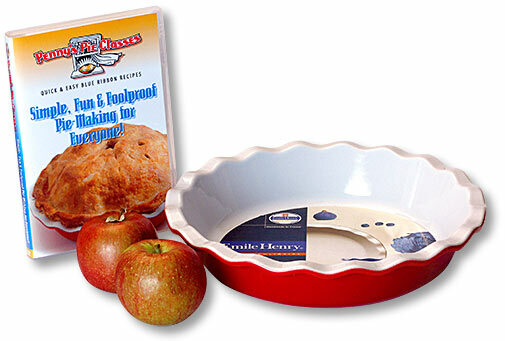 This 1 inch deep dish with scalloped edges is currently only available in the 11.5 inch size. 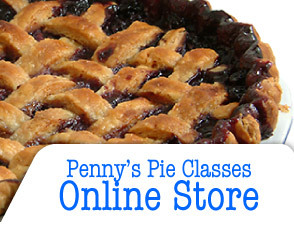 I have been using them for quiches, pecan pies, berry pies, and tarts with excellent results! These shallow dishes are excellent for recipes requiring faster baking and cooling than the deeper pie dishes. Quiche/Tart dish available in WHITE only. 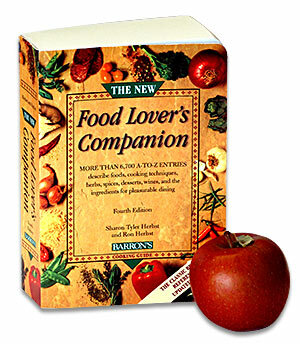 This is one of the most important books any cook or baker could ever own! I love this book and have learned so much from it! It is a wonderful reference book containing definitions of cooking and baking words, delightfully heaped to the brim with valuable information about the use of various herbs and spices, vegetables and fruits, meats, oils, sauces, pastries, proper preparation methods, descriptions of ethnic, exotic and everyday foods and beverages, and much more. I consider this book an essential addition to any kitchen for people who love to cook and bake. Contains 830 info-packed pages that you shouldn't be without!